The Taser is a single shot device designed to temporarily incapacitate a subject through the use of an electrical current. It allows officers to deal with violent situations where they need the use of force to protect themselves, the public or the subject themselves. Its distinct yellow and black design makes it clearly identifiable as a Taser and differentiates it from firearms. 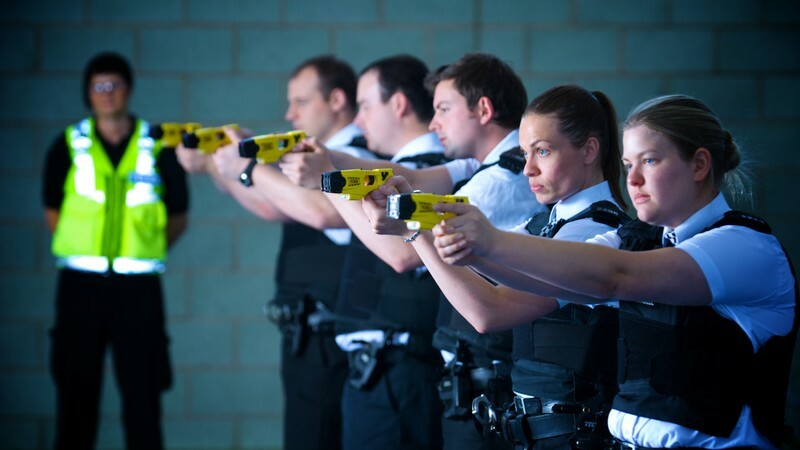 Only conducted energy devices manufactured by Taser International are currently authorised for use by police forces in England and Wales. The West Midlands Police use the Taser X26. What do the Taser definitions mean? Each time an officer deploys a Taser, the incident is recorded and a report is sent to the Home Office. West Midlands Police are committed to transparency and will be regularly publishing information relating to Taser use within the force. Below are a number of definitions which will help to explain common terminology relating to Taser use. Highest use Fired The Taser is fired with a live cartridge installed. When the trigger is pulled, the probes are fired towards the subject with the intention of completing an electrical circuit and delivering an incapacitating effect. Angled Drive Stun The officer fires the weapon with a live cartridge installed. One or both probes may attach to the subject. The officer then holds the Taser against the subject’s body in a different area to the probe(s), in order to complete the electrical circuit and deliver an incapacitating effect. Drive stun The Taser is held against the subject’s body and the trigger is pulled with no probes being fired. Contact with the subject completes the electrical circuit which causes pain but does not deliver an incapacitating effect. Non-discharges Red dot The weapon is not fired. Instead, the Taser is deliberately aimed and then partially activated so that a laser red dot is placed onto the subject. Arcing Sparking of the Taser without aiming it or firing it. Aimed Deliberate aiming of the Taser at a targeted subject. Lowest use Drawn Drawing of Taser in circumstances where any person could reasonably perceive the action to be a use of force. The West Midlands Police follow the Authorised Professional Practice issued by the College of Policing. This can be found here. More information about our use of Taser can be found on our disclosure log.